I don’t know if you remember from earlier this year, but I applied for my Green Card and wasn’t one of the lucky ones. I really did think that the power of positive thought would ensure that I would get picked. Even though my alarm every morning would scream at me angrily telling me that this year the Green Card would be mine, it was all for nothing. This year I have really turned it up a notch. After putting my name into the hat yesterday I added a subtle new decoration to my bedroom wall. Green Card 2016… you are MINE. 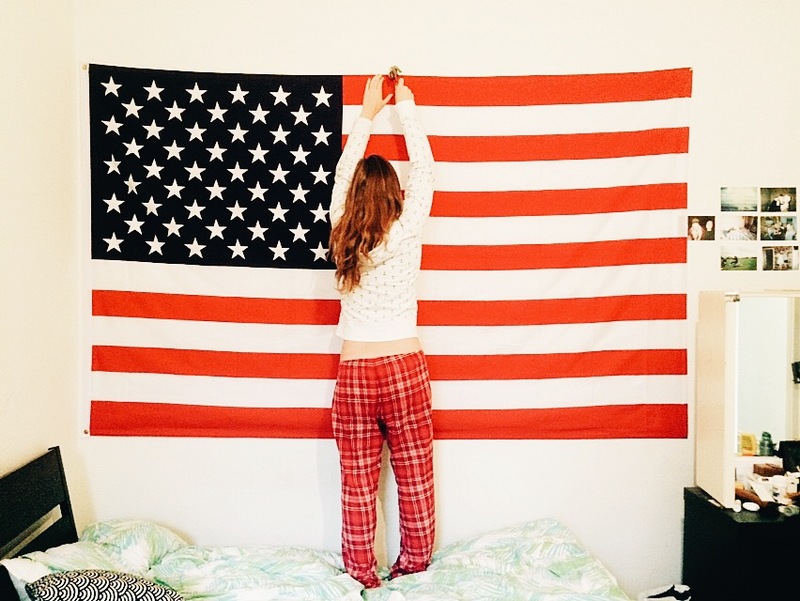 This entry was posted in Uncategorized and tagged flag, greencard, lottery, luck, stasr and stripes, travel, usa, vcoscam. Bookmark the permalink.